I can’t believe we’re almost at the end of yet another month, I know I say this all the time but the months just fly by! Of course the end of the month means another batch of bunnies and this month the ‘February Girls’ were an eclectic mix of rabbits that I just needed to get out of my head and into bunny form! 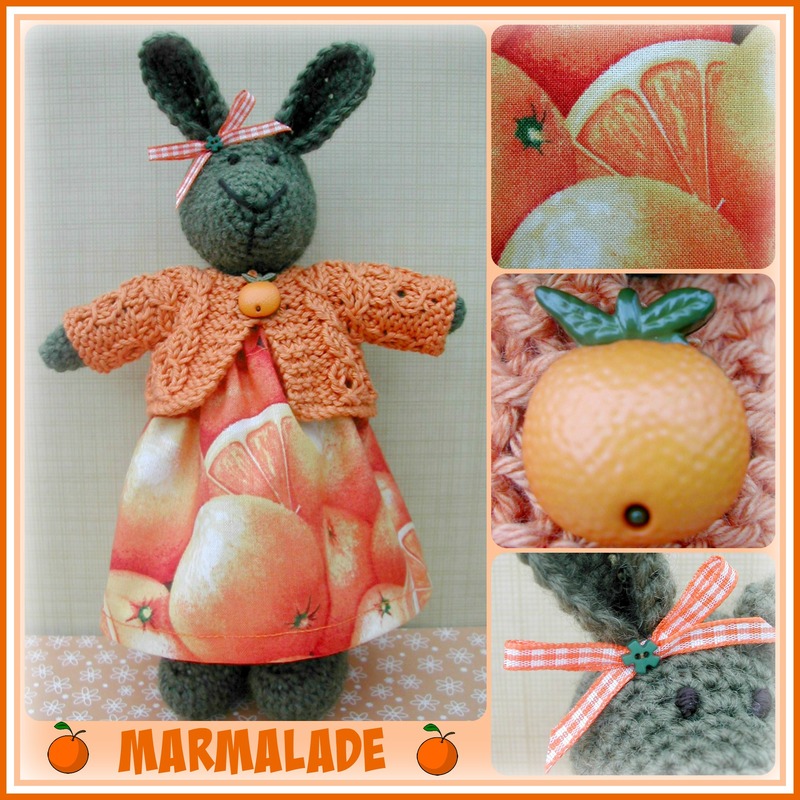 I introduced you to Marmalade earlier in the month and as it was marmalade season she just seemed the right bunny to start of the month. 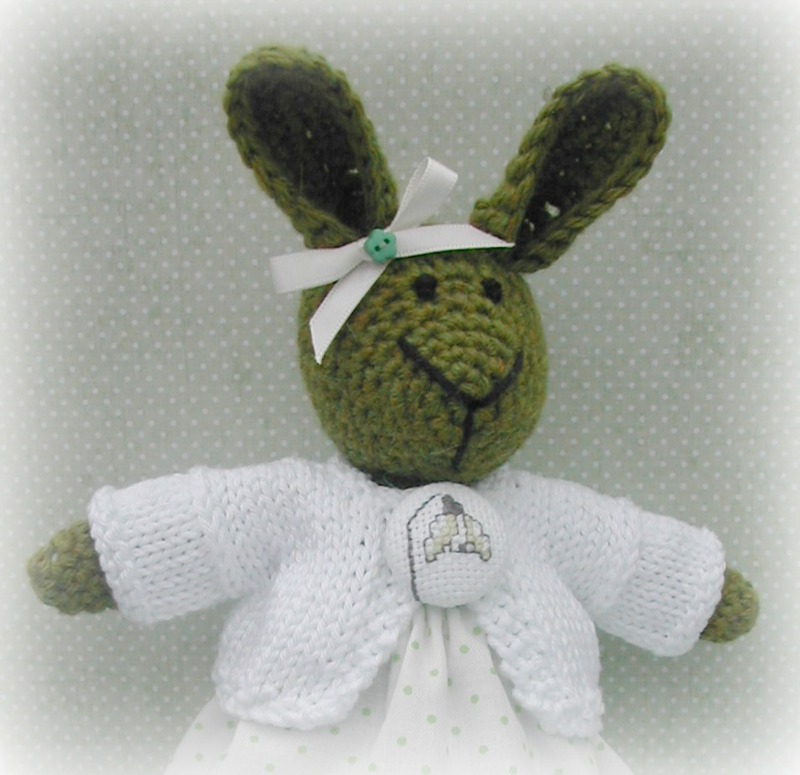 Beth was inspired by her dress fabric, I love it and I definitely wanted to make a bunny with it. 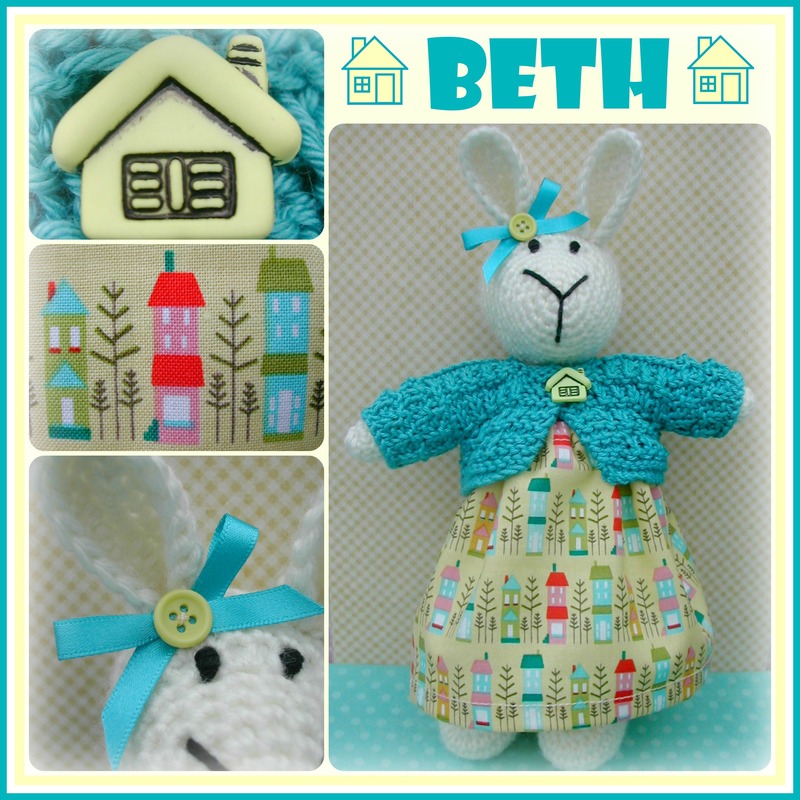 After a bit of research, which you know I love to do, I found out that that in Hebrew, Beth means ‘house’, so it was the perfect name for her. 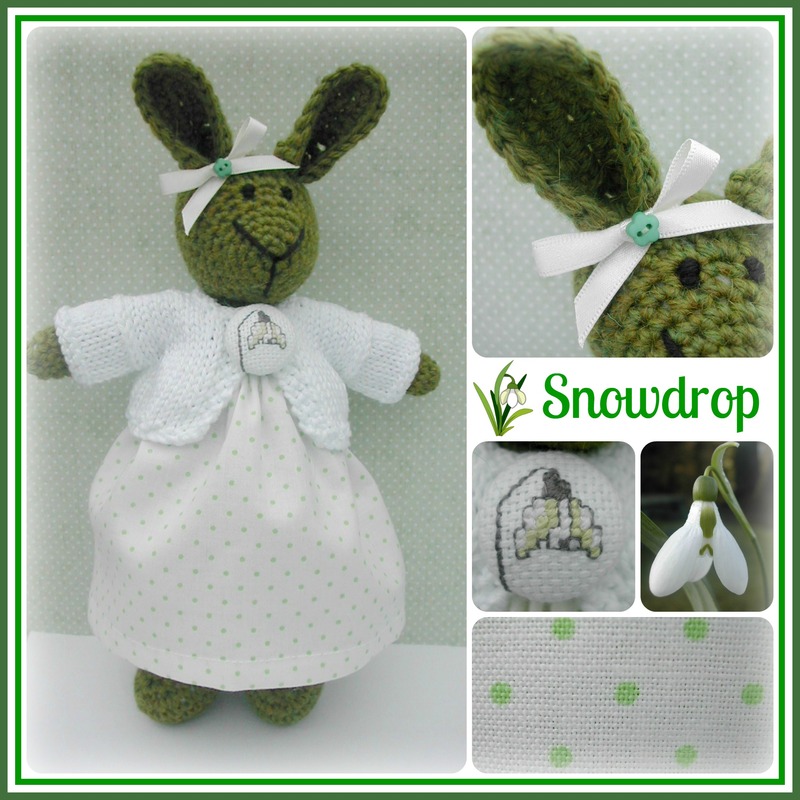 Snowdrop was another little one that you ‘met’ during the month and I’m glad I got to make a little snowdrop bunny even though that was one very fiddly button to make!! 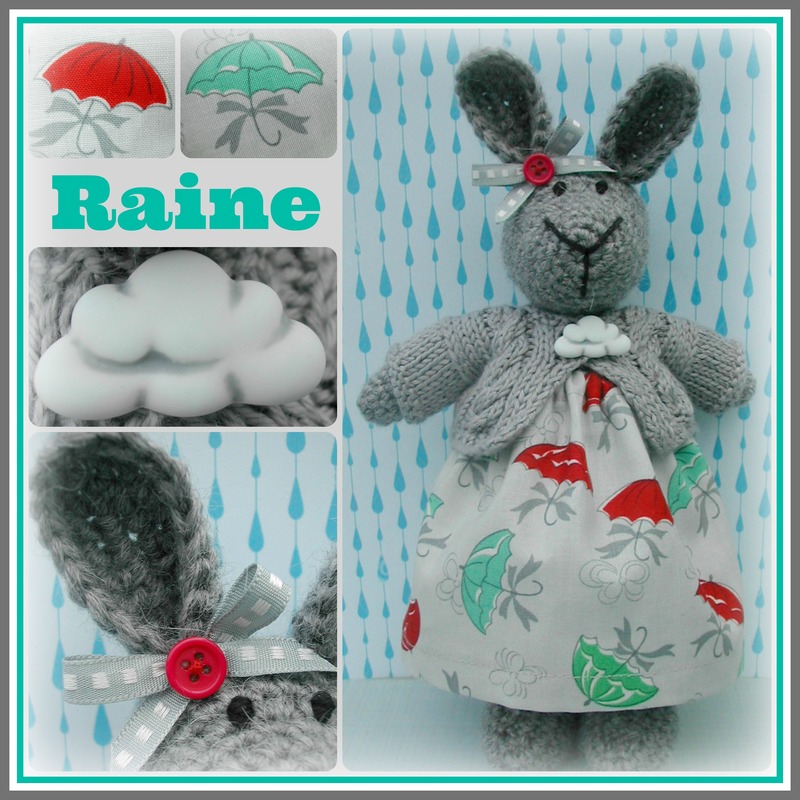 Again another bunny inspired by the fabric of her dress, she just had to be named Raine! 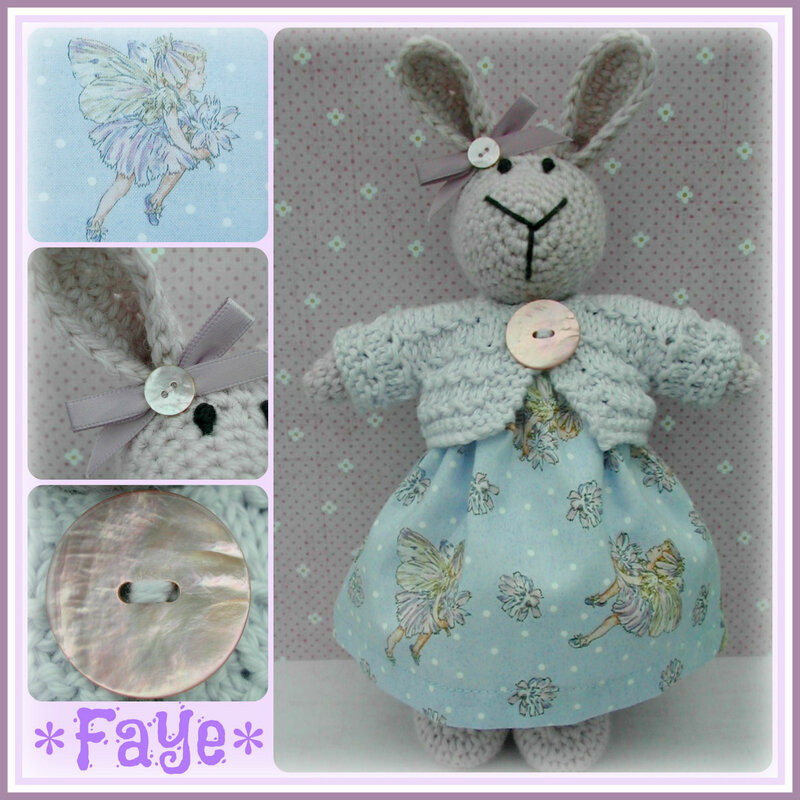 This little pastel coloured girl has been named Faye which means fairy and she has lots of them all over her little dress. 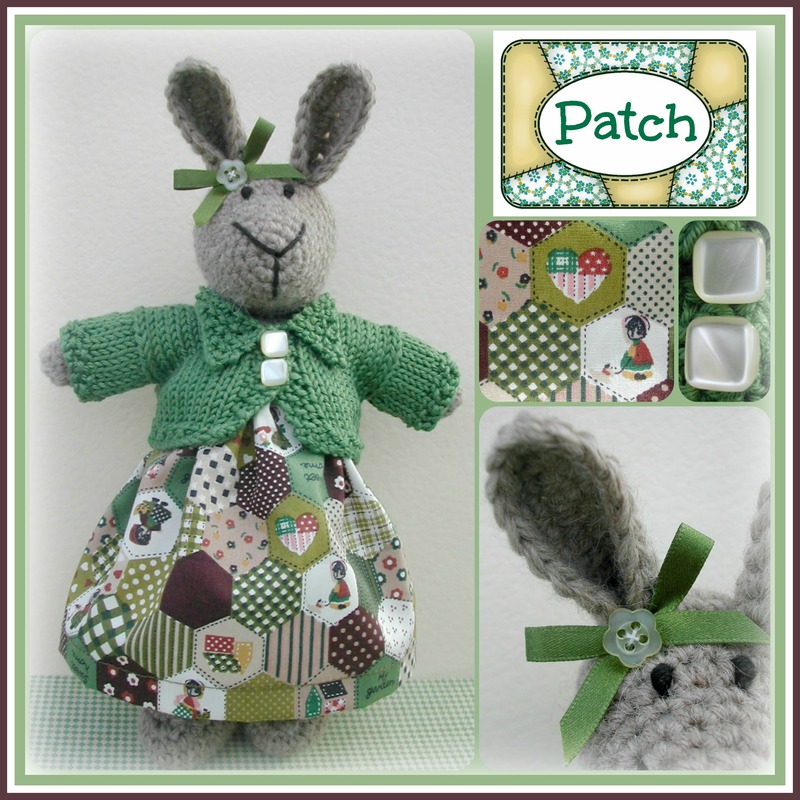 The final February girl is called Patch and with her hexie patchwork skirt she really couldn’t be called anything else! So that’s all the girls for another month, they will be listed in my Etsy shop on Wednesday 25th March at 10.00 pm (GMT). 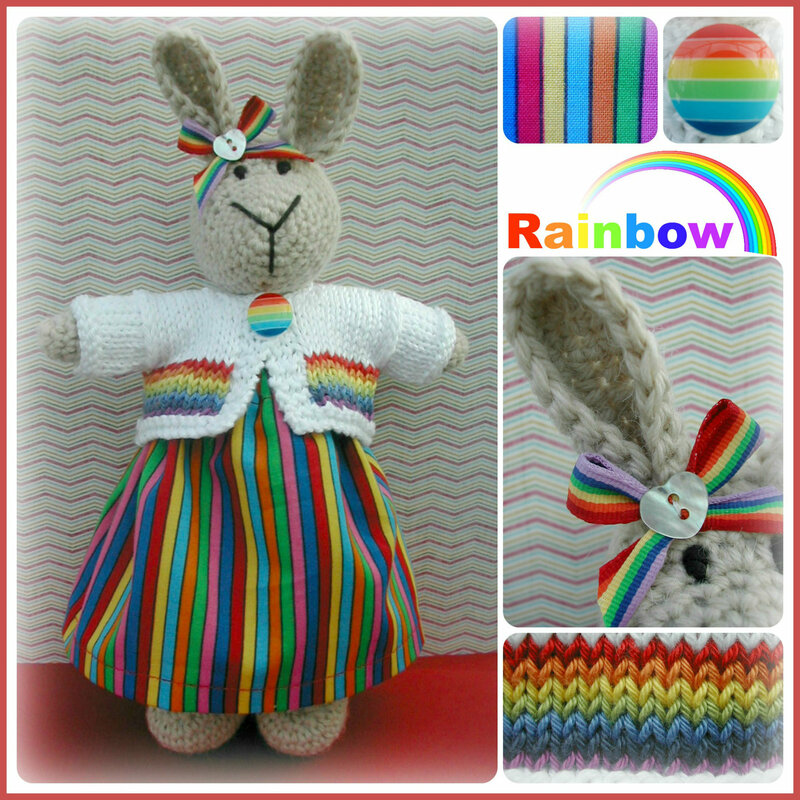 More details about them can be found here, please remember they are collectible items only and not suitable for children under 14 years. 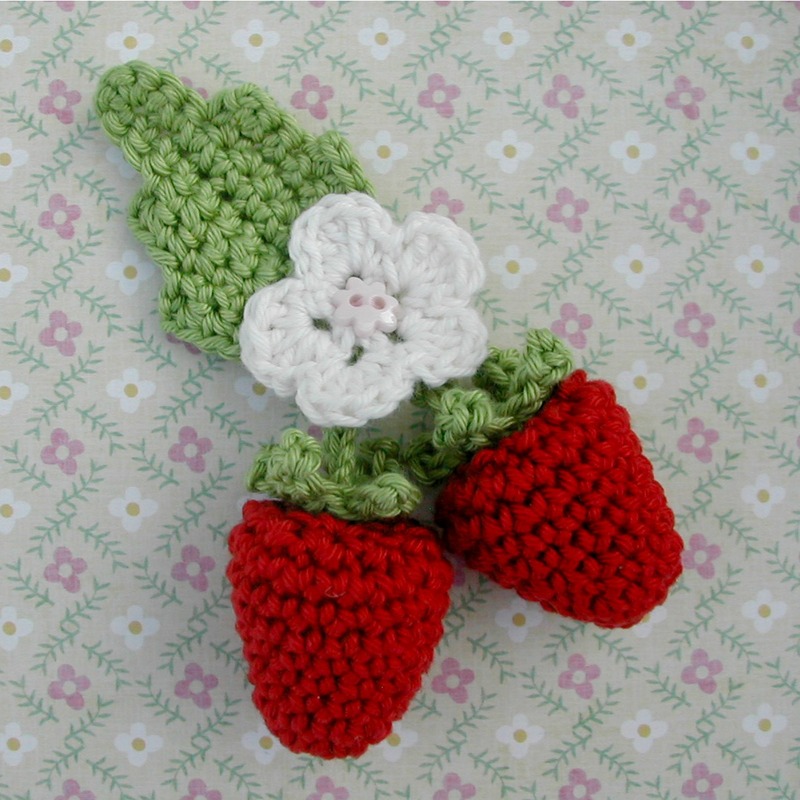 It has been a while since I made some brooches for my shop, there has been nothing but rabbits of late, not that I mind of course but it was lovely to do something a little different for a little change. 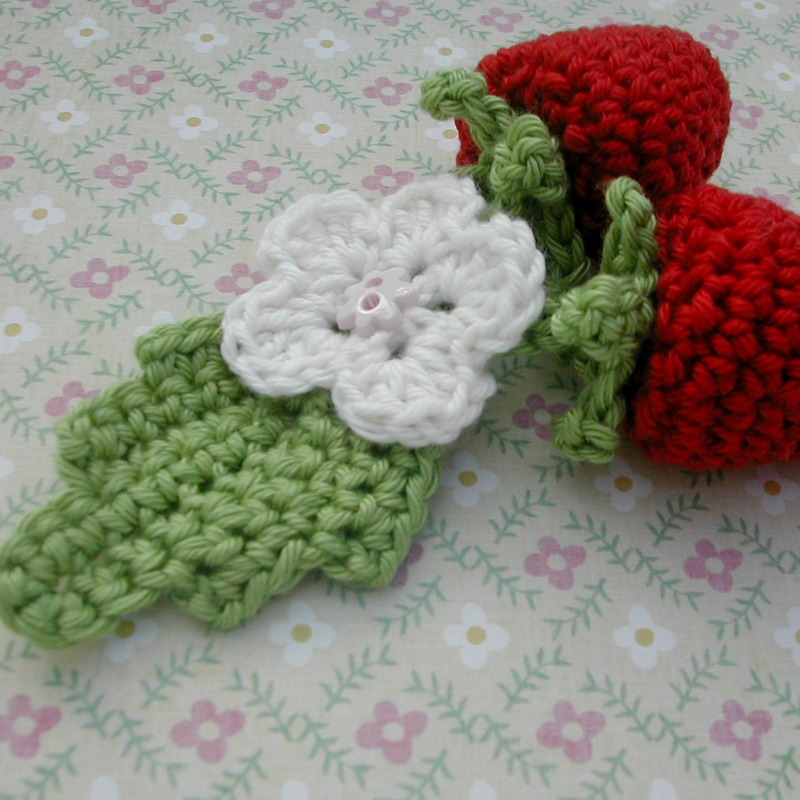 I have made strawberry brooches before, so it wasn’t completely new to me but I do enjoy making them. 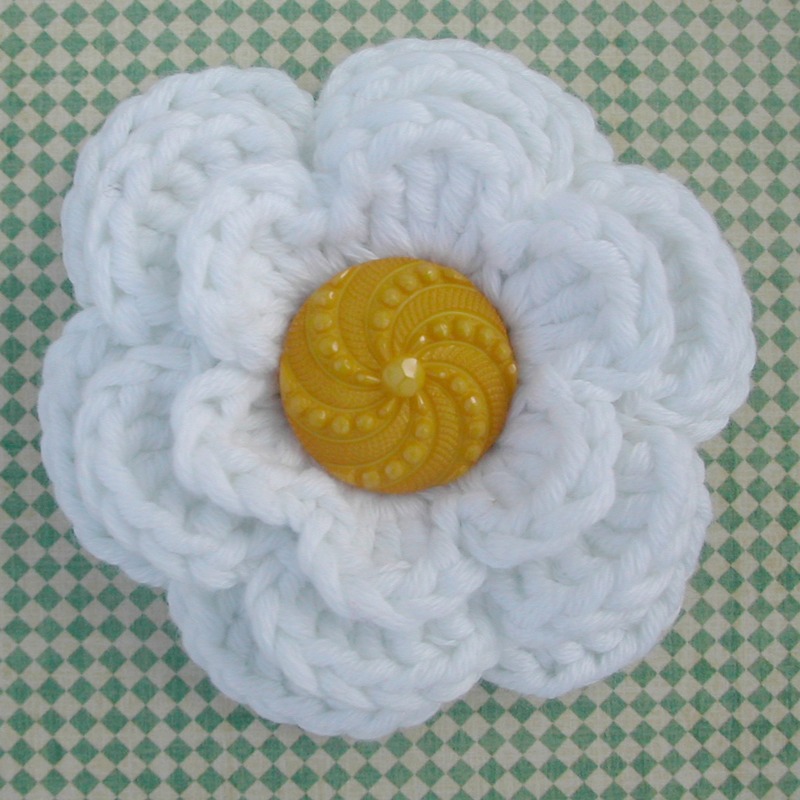 I made a daisy one too! 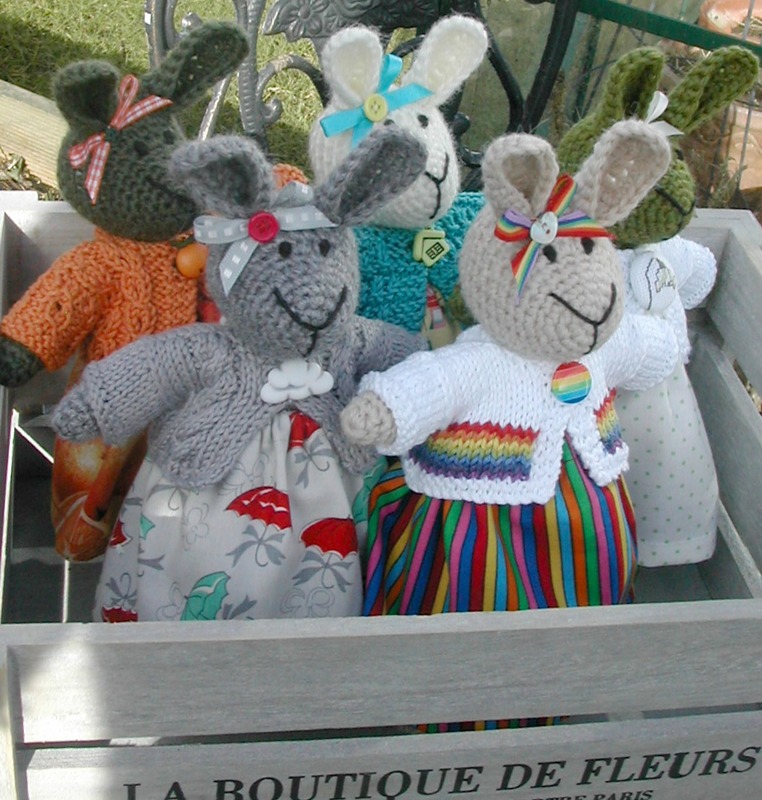 I’m still making my bunnies though, working away at my ‘February Girls’, it was even nice enough outside today for a photo-shoot in the sun. 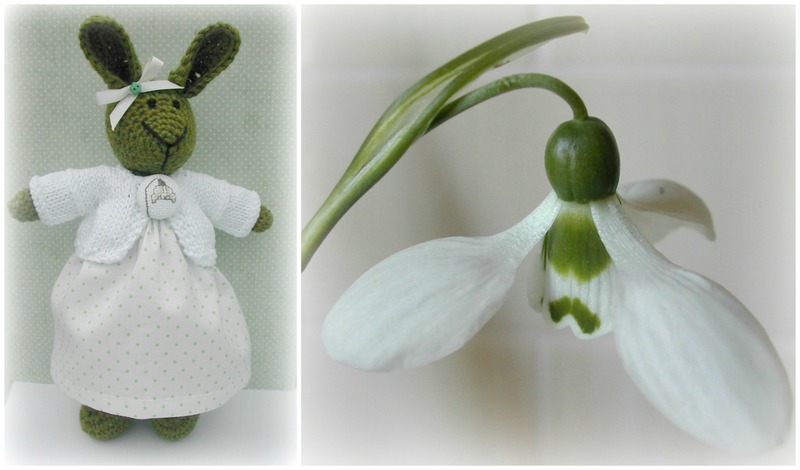 Thanks as always for dropping in and for your lovely Snowdrop comments, as you can see she has a few more friends to keep her company. 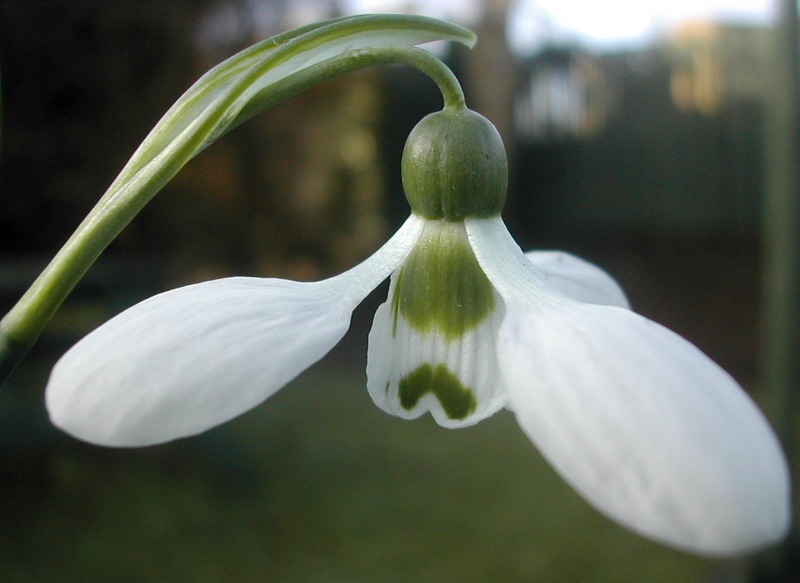 Nothing signals the beginnings of spring like the pretty little snowdrop! 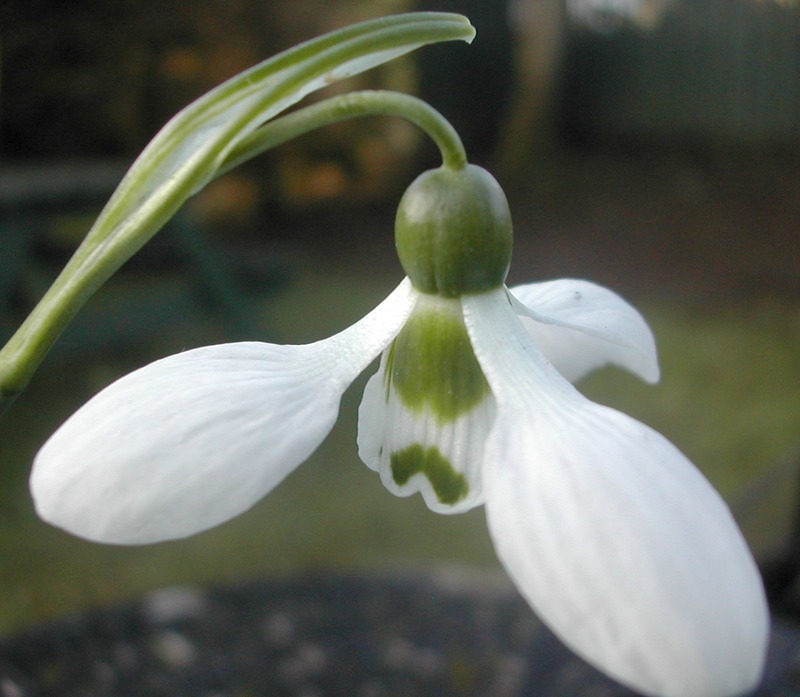 Any snowdrops I had in my garden have all disappeared over the years, I tried to buy bulbs in the autumn but the garden centre didn’t have any, they said that as soon as they arrived in the shop they were immediately bought up, proving just how popular these little flowers are. At the weekend as we were driving through a little village close to where we live I noticed little pots of them outside a greengrocers. So we stopped and I bought myself a little pot of snowdrops. I have read that it is better to plant them ‘in the green’ rather than in bulb form anyway, so hopefully I’ll have some in my garden next year. In the meantime they’re sitting in my kitchen window, where I can enjoy them for a while. 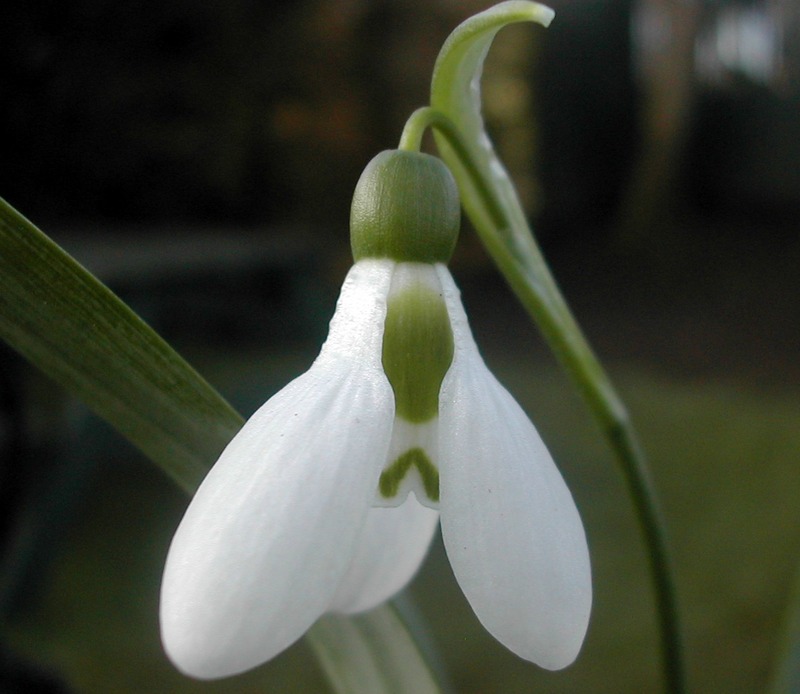 I then, or course, decided I wanted to make my own little Snowdrop! Usually I can source fabric or a button to fit in with my bunny themes but not this time, I couldn’t find snowdrop fabric or buttons anywhere! 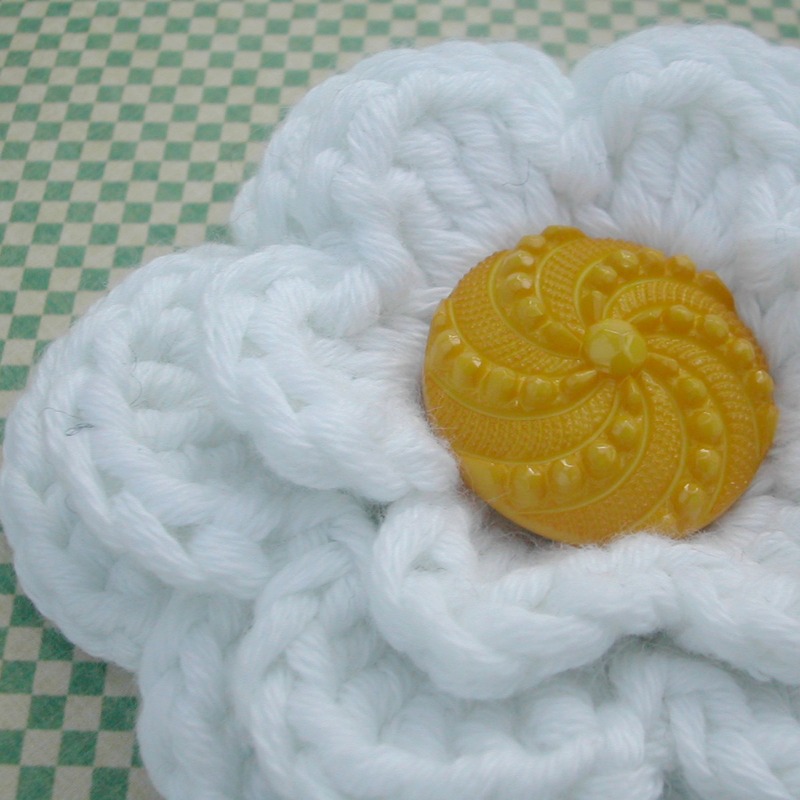 So I used some pretty green and white spotty fabric for her skirt and then I made my own snowdrop button using some cross stitch. I don’t think I’ll be taking on any big cross stitch projects though, this was enough for me!! Thanks as always for popping in, enjoy the rest of your week and have a lovely Valentines weekend! 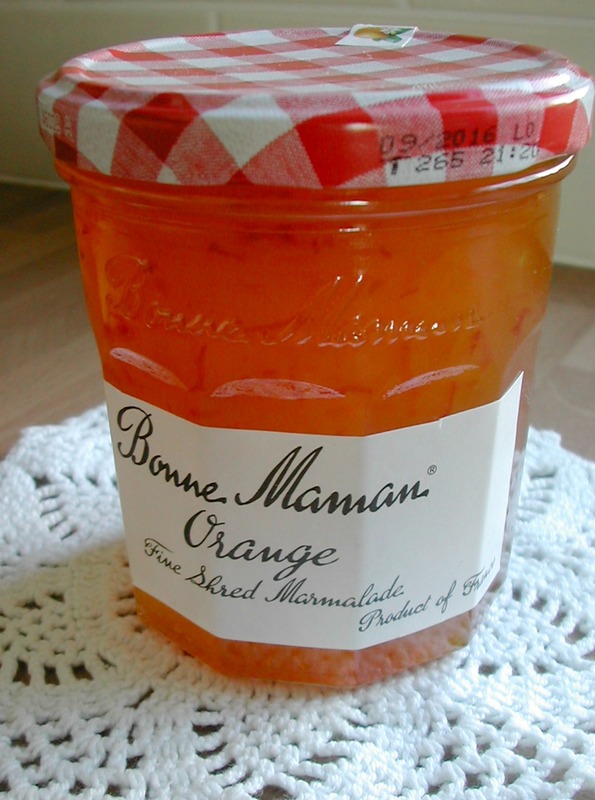 I remember many years ago making marmalade, it refused to come out of the jar!! 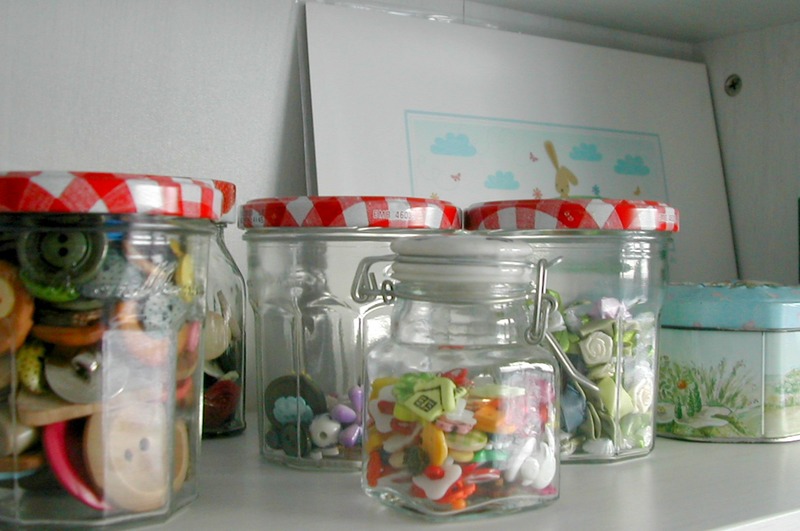 I have to be honest I really don’t bother making it as Bonne Maman do it so well and not only do they make excellent marmalade but………..
……..their wonderful jars make pretty holders for buttons and other haberdashery. 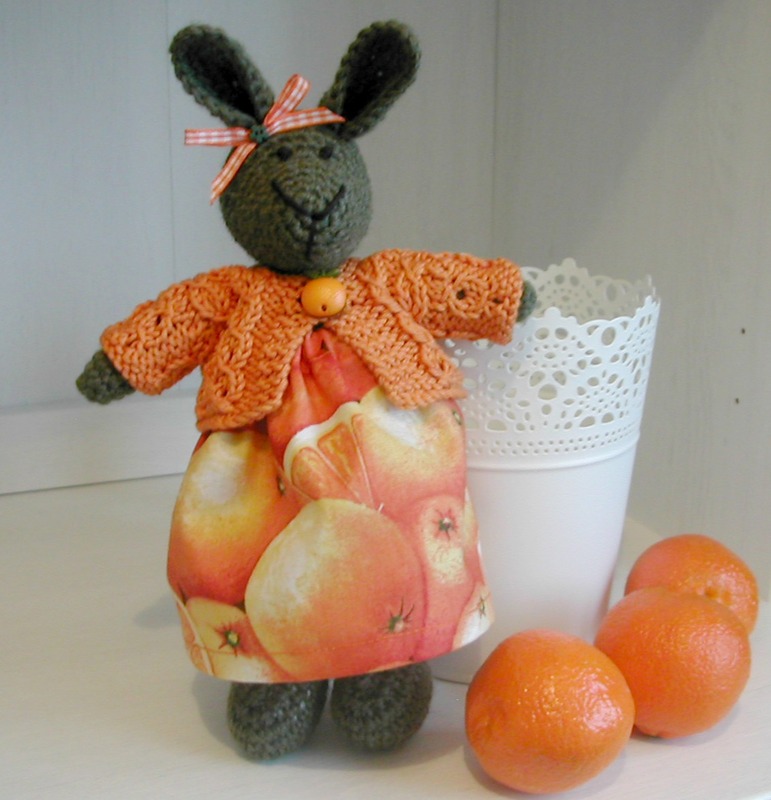 However this year I have made an exception and made Marmalade….the bunny. 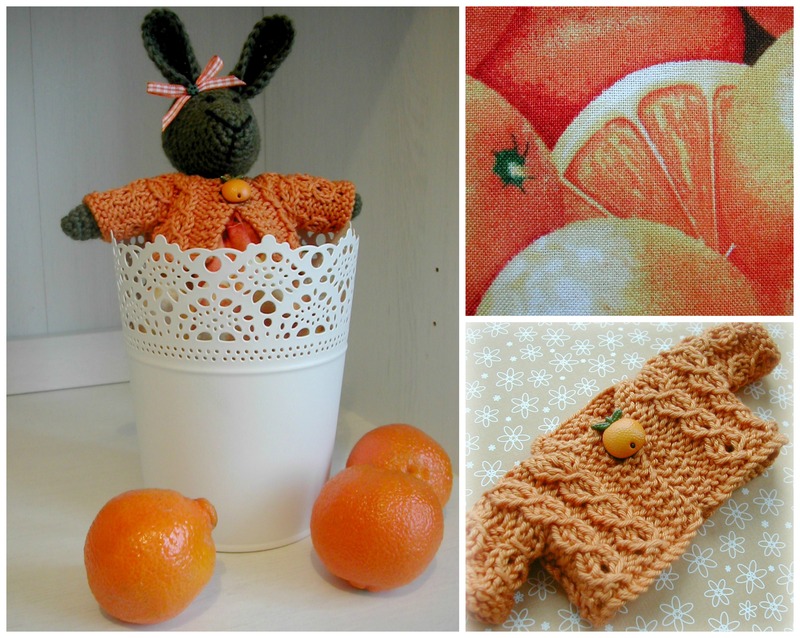 Marmalade is the first of the February Girls, who this month don’t have a particular theme but just a mix of ideas that need to come out of my head! Can I thank you all so much for your lovely comments on my Valentine Girls, they have all gone off to their new homes in New Zealand, the U.S. and all across the UK. I’d also like to thank all you lovely people who like my posts as well, it’s lovely to know that you have dropped by, I do appreciate the fact that you take time to read my posts and hit the like button. So here we are in February and I’m sorry to say it hasn’t got any warmer, come on weather warm up a bit!! On the plus side the days are definitely getting longer.